Margot Parker MEP wrongly dismisses concerns about British scientists being by-passed for funding since the Brexit vote. It is true that the treasury has promised short-term to fill some of the research hole that would appear after Brexit should the growing and generous EU research funding be cut off. 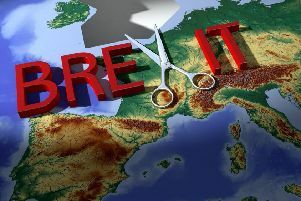 Indeed, since that vote, the seven major British research academies and societies stated that ‘the current uncertainty is having immediate implications and raises many questions’. One area of concern expressed by the Royal Society is the future of the 31,000 EU researchers currently working at UK universities – we can ill afford to lose their skills and they are facing the Brexit’s project uncertainty. Nobody – seemingly including the three government misters dealing with the issue – knows what Brexit really means in practice. By the way, the government is to provide stop-gap money for research and agriculture once the Brexit button is pushed. But no sign yet of the mythical savings from leaving the EU going to the NHS – now there’s a surprise.